I am totally on board with the adult coloring craze! If you could have only seen my notes from college, you'd know that I must have been way ahead of the trend, because this is what I did to focus my thoughts as I listened to lectures. Typically my mind is all over the place, so finding ways to slow down, rest, and meditate on scripture can be tricky. All I need is a good story on audible, or some good music to listen to, and a coloring sheet, and I can slow myself down to rest in the Lord and refill my soul. This verse holds special meaning for me as it is the verse that was the theme verse at my wedding. It's always interesting how God works in our lives. This verse has been something I have clung to in hard times when my faith was tested beyond what I thought was bearable. Thankfully our God is a God that is trustworthy and reliable. He works toward making us more Christ-like which offers great hope in times of trial. 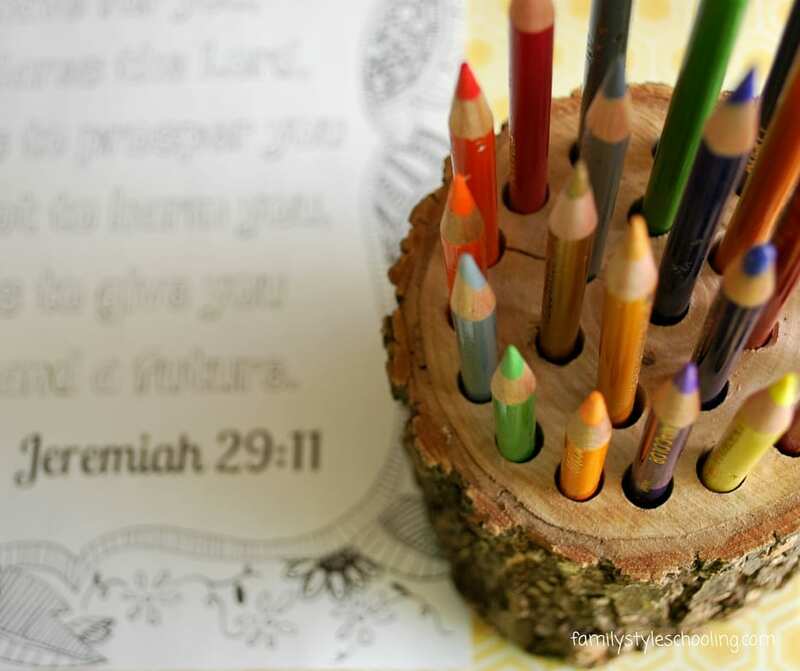 I want to pass the legacy of trusting the Lord on to my children, and what a better way to help them meditate on this truth than with a coloring page! If it's pretty enough they might just want to put it up on their bulletin board, or on the refrigerator which will serve to continue reminding us of this encouragement in the days and weeks to come. I think I was spoiled growing up in a home with an artist father, because I grew up using Prismacolor pencils for my art projects and now I can't go back. If you've never colored with these before and you love to doodle, then this is a worthy investment. If those are too expensive, then my second choice brand is Prang. I also love the pencil holder my husband made me! You can get one from his Etsy store here. If you don't like coloring with pencils, there are some really great pen options out there. Staedtler pens are amazing, and the case is so fun to use. My dad also brought home Pentel Color markers from a trip to China he took over twenty years ago, and these markers are still some of my favorites. Click on the image below to download the PDF version of the image to print and enjoy! If you enjoyed this printable, please pin it with the image below! Thanks for sharing! I have found that if I color a verse I can memorize it and most importantly, can remember the reference. May God bless you all, He created us to be creative. Sorry about that! You may need to download it all the way on your computer and try again. 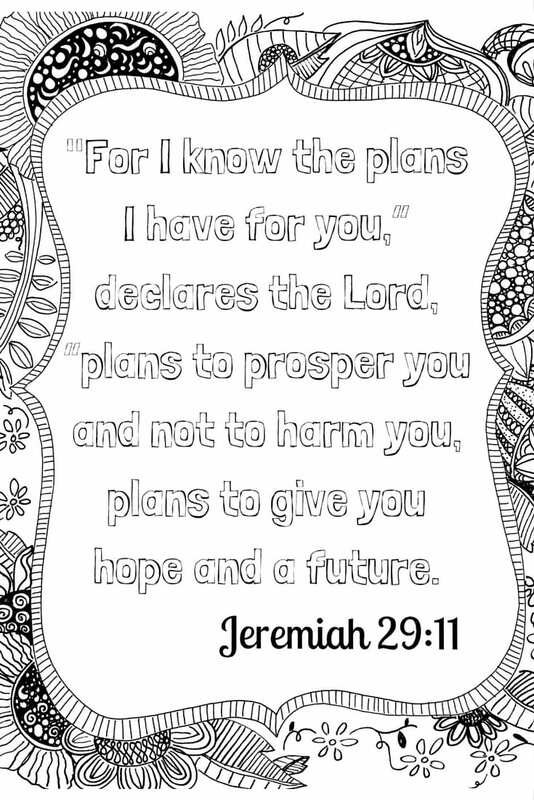 Beautiful Printable! I so look forward to coloring it! Thank you!